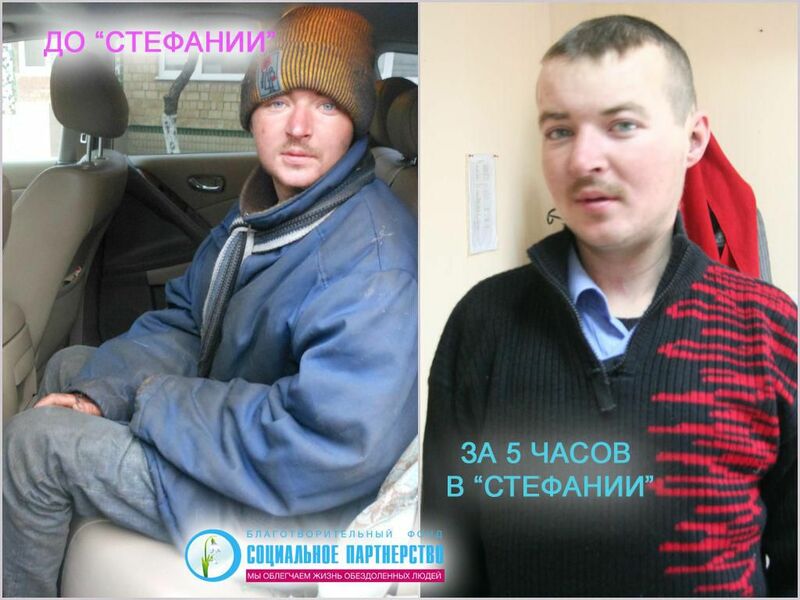 24-years old Denis was freezing nearby concrete fence one cold November night. His dog Chupa was staying with him only. 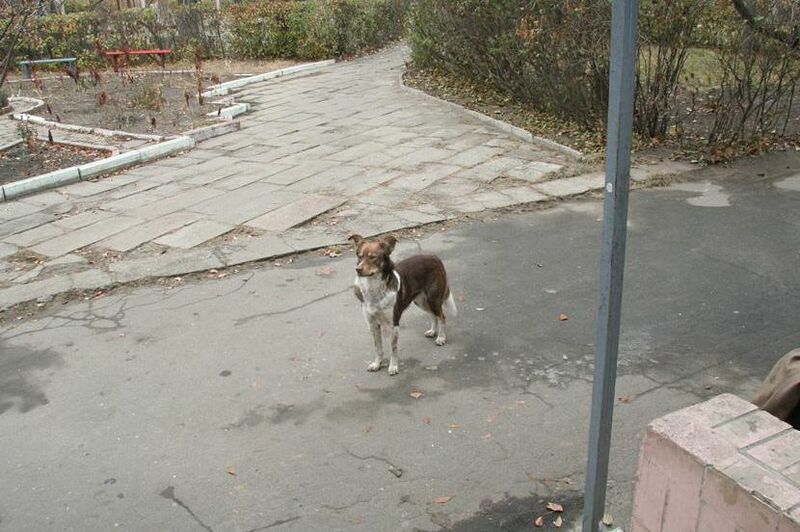 Denis found this dog one year ago at Darnitsky railway station.. 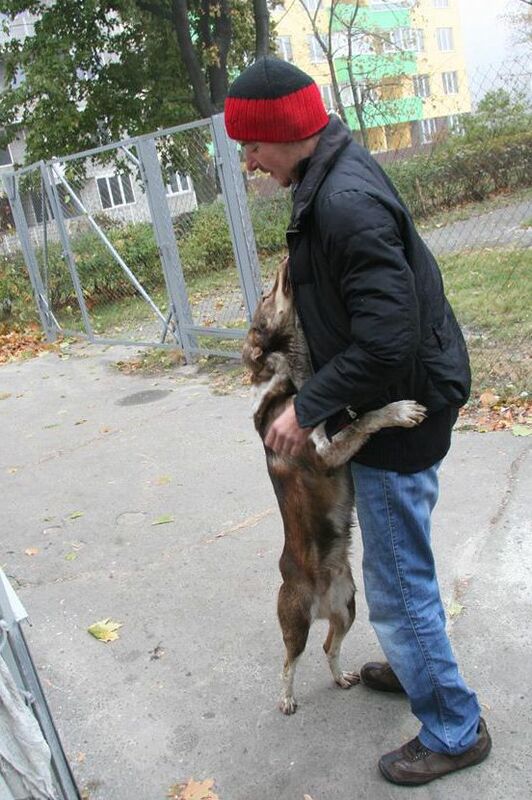 Since that moment they have become undivided friends and the dog has been following his homeless master. Denis had an attack that night, his left limbs were cramped and the young man fell down on concrete plate. He was lying there for more than 6 hours. Chupa brought him some cartons helping his master overcome frost. Furthermore, clever dog was trying to turn attention of kind-hearted people to his master… Elena Polischuk, President of the Fund “Social Partnership” became one of such unindifferent persons. She settled Denis in her car and brought him to the day care “Stephania”. Chupa was taken along with his master. Denis is staying in our day care center “Stephania”. The young person has already undergone skin and hair disinfection process and received new clean clothes from at our warehouse. Meanwhile his true friend Chupa is waiting outside the center. Meanwhile his true friend Chupa is waiting outside the center. The dog is barking at everyone entering the center, as if it is asking to help him get inside. The friends finally reunited on the way to our soup-kitchen. Denis had vegetable salad, buckwheat porridge, sausage and tea for breakfast. At breakfast Denis told us how he came to Kyiv 2 years ago. 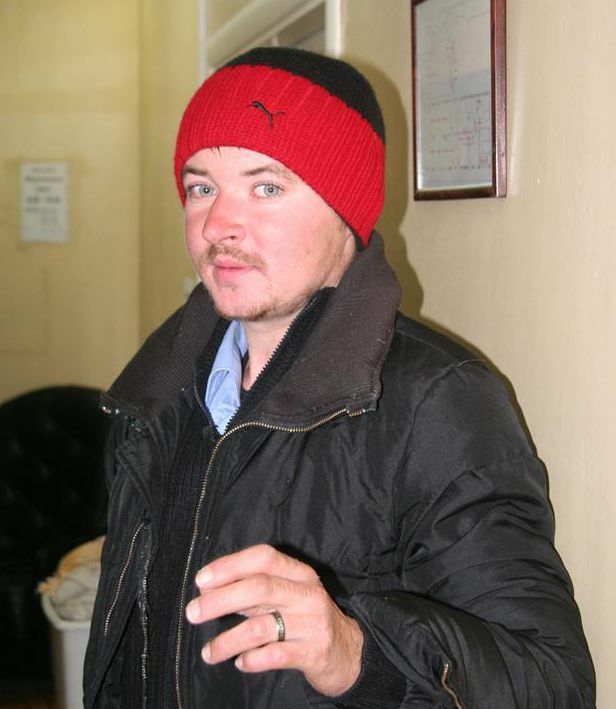 He was living with his family in a small town in Sumy region. He was training as mechanic, and once he fell aboard with younger sister and promised her to go from home and better die on the streets than return to live under same roof. 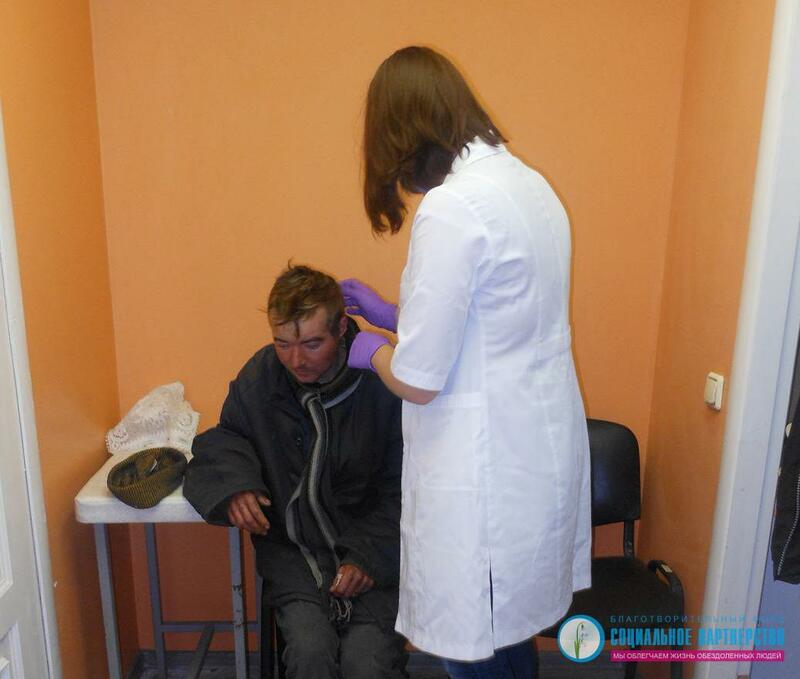 He moved to Kyiv, was living, renting an apartment and beachcombing. And one day he fell asleep with a cigarette… The young person was lucky to get off with only 30% of burned skin. But he lost everything he had. He has been roaming since that… Denis has attack regularly after this fire – he suffers from tremor, his left limbs are cramped. His homeless friends gave him vodka to help Denis calm down.. So he has been drinking 4 months. 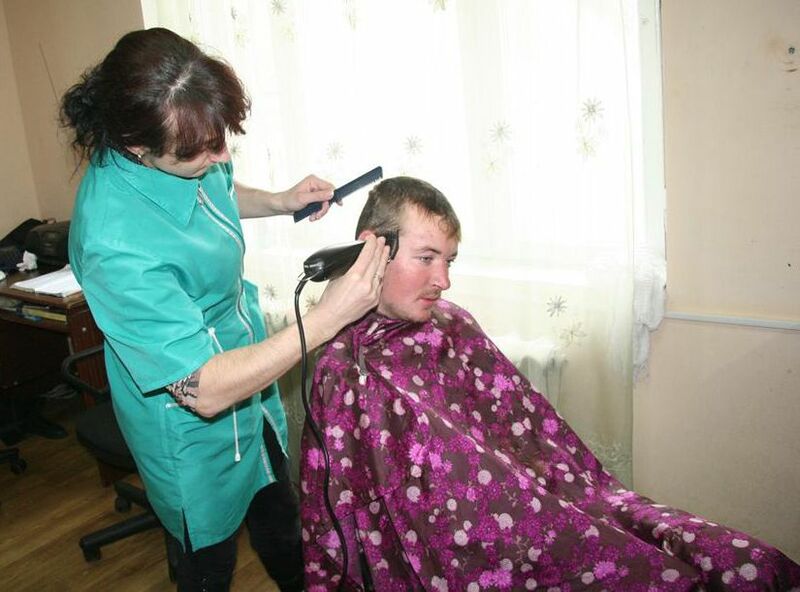 We are brushing Denis up in our center’s barbershop. Denis has some health problems, especially with hearts, unfortunately. Irregular heartbeat and noises. This could be connected with attacks of disease. The doctor recommends the young person get back to normal life as soon as possible, because the terrible year on the street influenced his health. He must stop drinking and start work therapy. Denis promises to begin work as caretaker. The young person spent some time before dinner in our library. He used to be fond of history when studying at school. 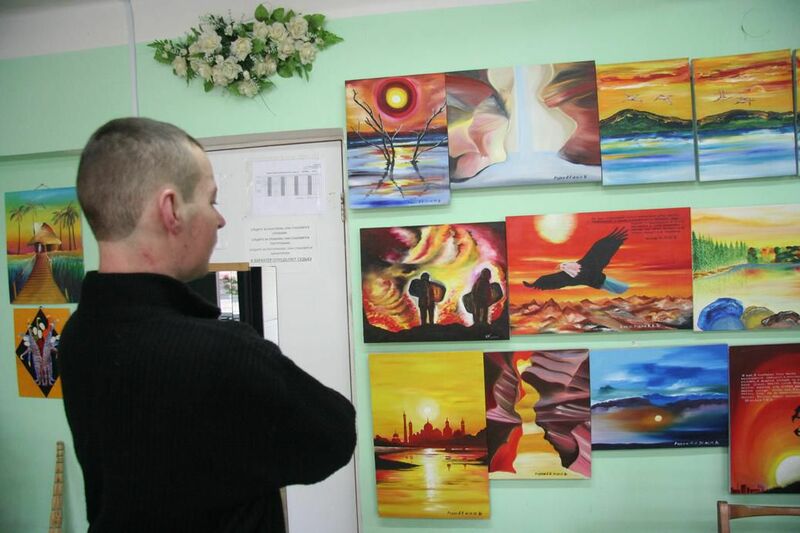 So he thumbed a book “100 famous Ukrainians” and visited our art-studio. 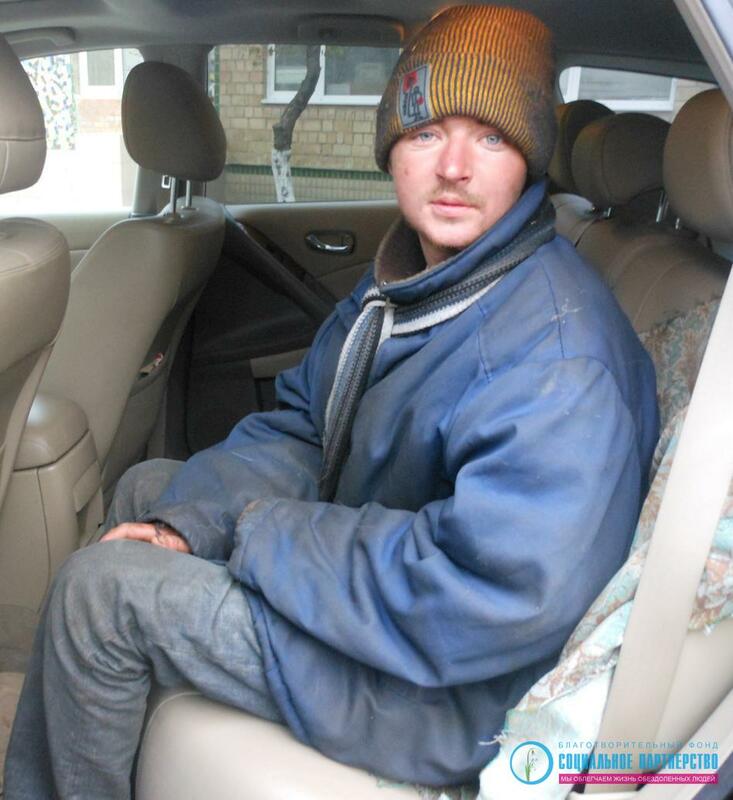 Denis stayed on the streets for one year and he needs a course of social rehabilitation. 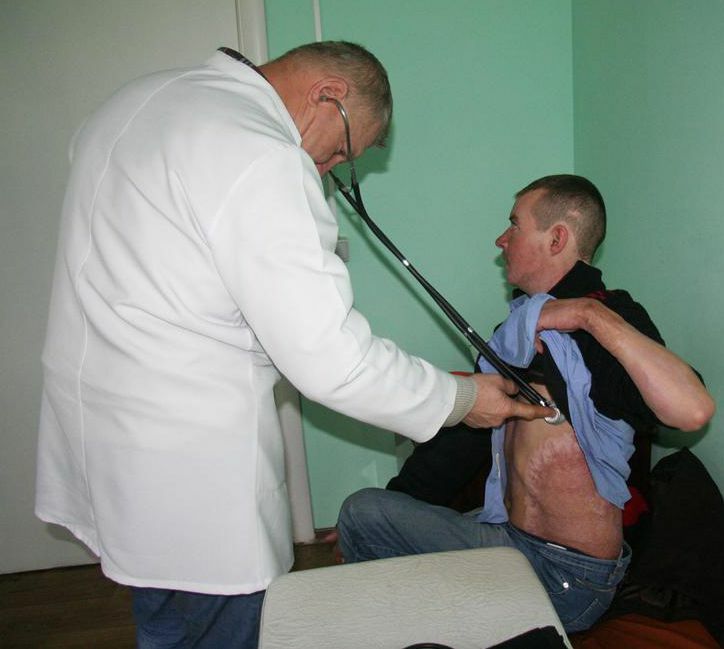 Experienced specialists will try to return Denis to normal life in society. You can help too! If you are able to offer Dennis a job – He will be really grateful. We thank all employees of our day care center “Stephania”. It is their daily work – to support people who failed, give them second chance. And we also thank Elena Polischuk. 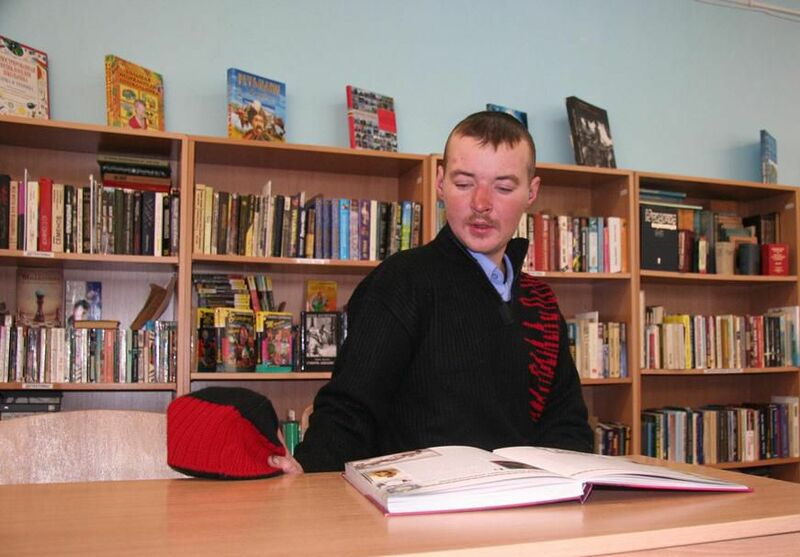 President of the Fund “Social Partnership” the person who brought Denis to the center “Stephania”. If a person is ready to start living new life – it is not so hard to do. One should just really want this… And in this case an angel will appear and help get back to normal life, just like it happened in Denis’s life.